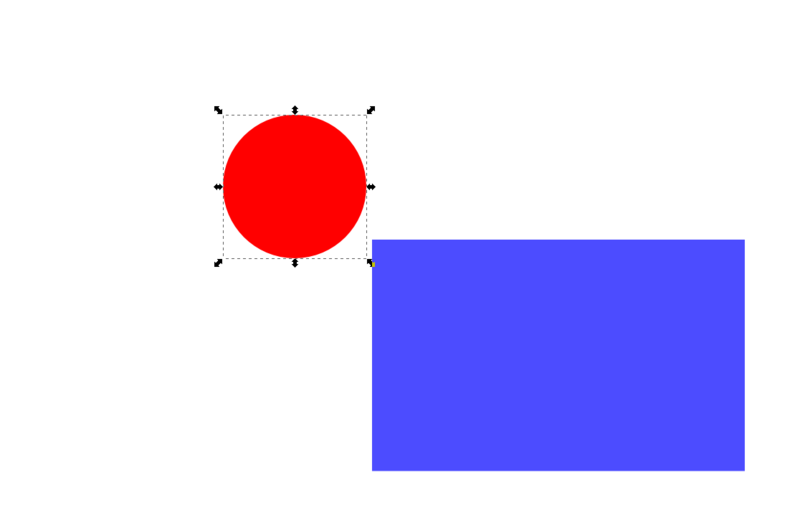 A common problem in Inkscape is that you want to select an object but another object always gets in the way because it completely obstructs the background object or because the two are too close together. Well Inkscape has the alt+click for this case. Unfortunately it about only works on Windows. There are solutions for Linux and Mac OS but at least for me nothing works. I decided to share my workaround here in a Q&A format, mainly because the Inkscape people broke their wiki (yeah, mail to the list to get an account for just one change, as if anybody would) but also because then others can share their maybe better solutions, too. Indeed Alt-click in often used by the Window Manager. I use Groups a lot, so, for the figure above, 1) select both objects 2) Press Ctrl-G to group them 3) Double click on the group 4) Press Tab once or twice 5) Press Ctrl-Backspace to get out of the group. Groups are so useful, than I don't struggle anymore to select objects - I'm tabbing. It is now easier to select items which are not at the top of the Z-order: use Alt+mouse wheel scroll to cycle through all items that are stacked on top of each other at the location of the mouse pointer (use Shift+Alt+mouse wheel scroll to add to the existing selection). At present, groups are not honoured, i.e., only individual items within groups are considered. There's a great workaround that is actually quite nice to use and might even be useful with a working alt+click: you move an object out of the way, select the object underneath, then hit ctrl+z for undo and the object moves back in place but the selection is not affected at all. and hit undo to get your selected circle. Tada! This of course also works with much more complicated constellations where alt+click is not a good option. The XML editor is a good way to select any object, because it shows the full object hierarchy of the document. Show the XML editor ("Edit → XML Editor…" in the menu). 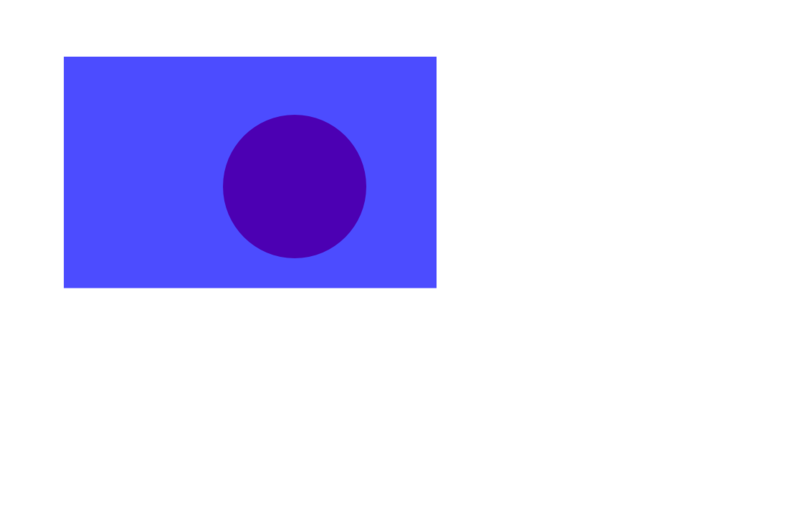 Open one of the layer nodes (<svg:g id="layer…" …>). Open zero or more of the group nodes below it, as required (<svg:g id="g…">). Select an object or group inside this layer / group node. I'm using Ubuntu and I select beneath using Shift + Alt + click. Or instead of clicking, you can scroll mouse-wheel to cycle select. That is, Shift + Alt + scroll wheel. Which is faster and practical, as it can be done in both senses: forward and backward. The shift adds the object you're targeting to the current selection so another click on the item you don't want deselects and leaves you with your intended item. So using Christian's shapes I'd select the rectangle, Shift + Alt select the circle and then Shift select the rectangle. Result would be a selected circle. Ok, its too many clicks for something that should just work but I think this is the quickest and simplest solution. I use Ubuntu and my solution is hitting Ctrl+Alt+Click to select the object beneath. You may need to click a couple of times to select the exact item you'd like. Go to XQuartz (general menu up left) > Preferences > Input > "Option keys send Alt_L and Alt_R"
With that, Alt + click will select the top object. The second click will select the object behind and so on. Inkscape: why do coordinates in GUI and XML differ? How does object snapping work in Inkscape?